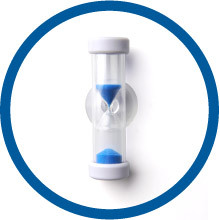 See how surprisingly easy it is to use less water, in just a few minutes we can show you how to manage your water usage so you can keep your bills as low as possible. Please be as accurate as possible, as you can currently only submit your answers once. The aqKWa savings engine will estimate water and energy savings based on Jersey energy tariffs. 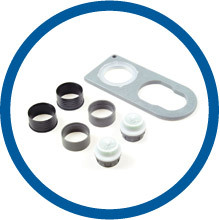 Fit these tap aerators to regulate the water flow to 5 litres per minute. 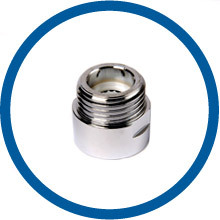 These inserts require a tap end to have two straight edges and will fit the majority of taps with a screwed outlet housing. Use the suction cup to affix this shower timer to your bathroom tiles or glass panel to start the four minute shower challenge! You will save water and energy on every shower reduced to four minutes. Fitted to the base of the shower hose, this will regulate your shower flow to 8 litres per minute to help reduce the amount of water and energy used. Not suitable for electric or multiple jet showers. 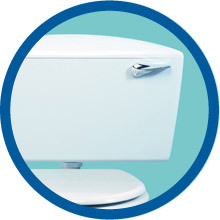 Simply pop this device in to the cistern of your toilet and follow the instructions to save 1 litre of water perflush. Not suitable on dual flush, push button or cisterns with a capacity less than 7 litres.